Hello DNC Worldwide and friends! For our mission of helping the impoverished island nation of Haiti, the tree of life we refer to is called Moringa Oleifera. If you are not familiar with the moringa tree, I can tell you this, its properties are truly astonishing. Unfortunately, poverty in developing countries such as Haiti leads to starvation and malnourishment for many. 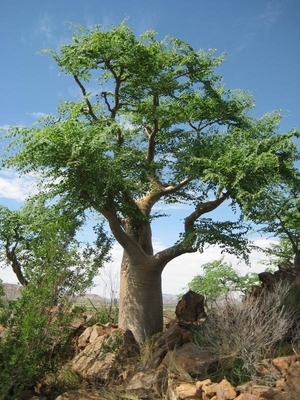 Moringa is nature’s most miraculous antidote to this calamity, and many refer to the moringa as the miracle tree! Arbo de Vivo is a non-governmental organization that has been allotted over 300 acres on some very fertile land near the city of Cap-Haitien in Haiti’s Nord-Est province. I’ve visited this property, and I likened the potential of the land to the Garden of Eden itself. But Haitians, due to complications within their own government, have failed to utilize this tremendous natural resource. Indeed, a panoramic view of the landscape reveals almost no farming being done at all. Haiti itself is barely using tens of thousands of acres of arable land. We at Arbo de Vivo are hoping to push the first domino of change, and end this tragic cycle. Specifically, our goal is to teach Haitians how to farm the Moringa tree so that they can become a self-sustaining nation. Arbo de Vivo is interested in helping Haitians achieve this goal by providing funds, tools, and knowledge to encourage sustainability. As a start, we plan to build a pilot farm with an adjoining school in order to teach Haitians how to: set up, maintain, and manage a Moringa farm that can feed thousands of people. We are excited about the prospect of meeting these challenges. I invite you to examine our website to learn more about our organization. We are eager to field your questions and to hear your thoughts. I can be reached directly via twitter or via email. I believe our best promotion for this work is an open line of communication with those who might help us. Please feel free to contact me so that we can begin a dialogue. 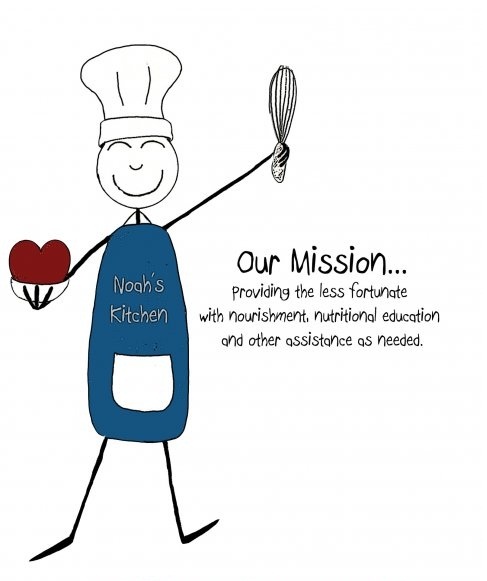 Special thanks to Amber, Jennifer, and Candice of Noah’s Kitchen for putting this project together and allowing us all to contribute. To the DNC’s own Eddie, Gustavo, and Angela, thanks for contributing despite short-notice. Thanks to Barry Laminack from thecagedoor.net for taking the time to give back to the community. 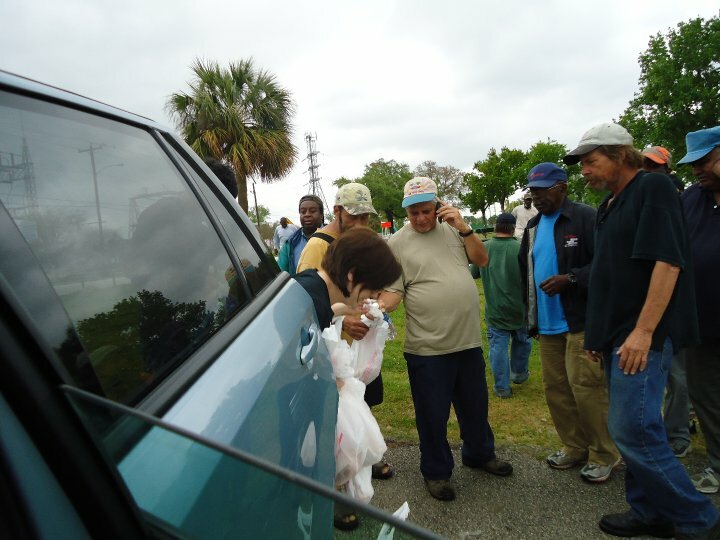 Thanks to the rest of the volunteers as well. Very nice to do some good and meet all of you! DNC Worldwide will be supporting the BAHAla na Tribe in the Adobo Hoedown Benefit for Typhoon Ondoy flood victims in the Philippines. If you want to support a good cause and have a good time doing it, you should be attending what is sure to be a good time at Adobo Hoedown. Event highlights will include a martial arts demo from K3 Filipino Martial Arts, Filipino comedian Joey Guila, a host of live bands, and DJ’s such as the Kracker Nuttz, DJ Ebonix, and DJ Johnny J. There will be raffle giveaways and of course, more food than you can imagine at this event! Come join us. The event is from 1pm -5pm on Sunday. Come early for easy parking. The BAHAla na Tribe is hosting an all-ages, community event/fundraiser to benefit Ondoy flood victims in the Philippines. In the Filipino language Tagalog, the word “baha” means flood, “la na” is Tagalog slang for “no more”. The word “bahalana” means “leave it up to God”.